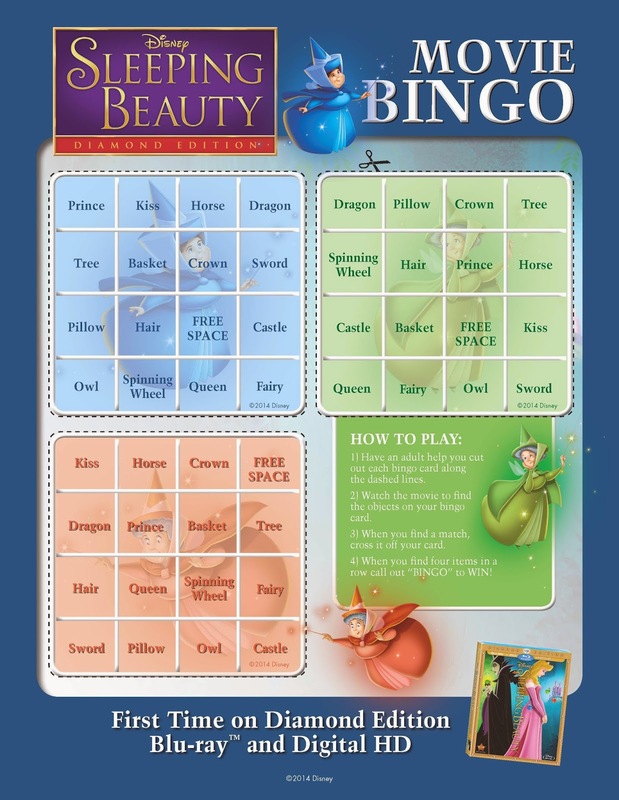 I thought Hannah would like Sleeping Beauty as the fairies (Flora, Fauna, and Merryweather) are prominently featured in one of her Sofia puzzles, but she took a lot more notice when Maleficent came on to the screen. Insulted for not being wanted at the festivities to celebrate the birth of Princess Aurora (or "Baby girl!" as Hannah called her), she puts a curse on the Princess to prick her finger on a spindle of a spinning wheel and die. Merryweather has yet to bless the Princess and in doing so changes the curse so that Princess Aurora will only fall in to a deep sleep and can be awaken by "true love's kiss". Hannah's favourite part was when the fairies put the entire castle to sleep to go and look for the Prince, which of course begins the exciting ride towards the end of the movie. As 80s kids, Chris and I enjoyed the animation, but we kind of missed the soundtracks we had grown accustomed to growing up. There's a variety of magical new bonus features in the Diamond Edition DVD & Blu-ray, including “Once Upon A Parade,” in which “Modern Family” star Sarah Hyland tells us the tale of Walt Disney World’s new Festival Of Fantasy Parade, “Art of Evil: Generations Of Disney Villains,” a legacy piece spotlighting Disney’s favorite villain animator and Maleficent creator Marc Davis, and “@DisneyAnimation: Artists in Motion,” in which Walt Disney Animation Visual Development artist Brittney Lee goes through the process of creating a three dimensional sculpture of Maleficent, completely out of paper. 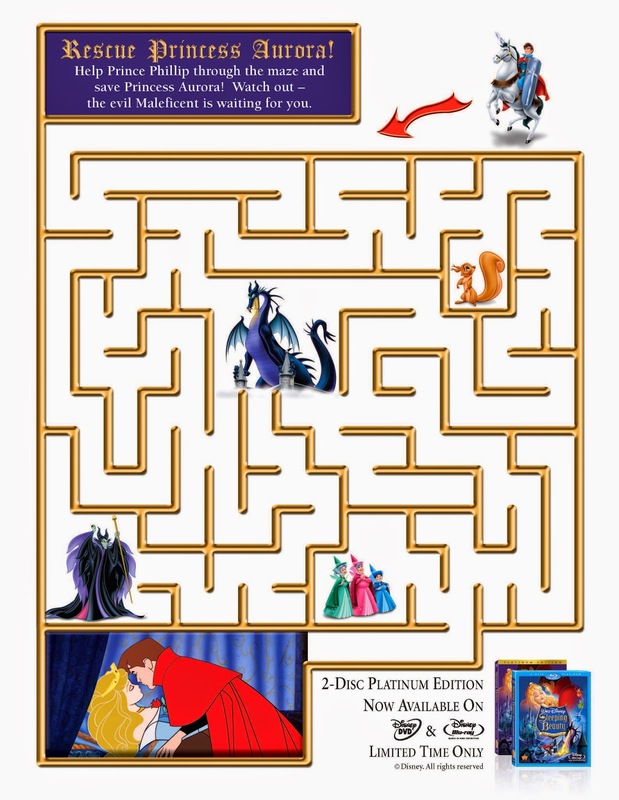 Additional all-new bonus features include never-before-seen deleted scenes “The Fair” (with Deleted Character The Vulture,) “The Curse is Fulfilled” and “Arrival Of Maleficent,” plus the Beauty-Oke sing-along to “Once Upon A Dream.” The Blu-ray Superset also includes classic DVD bonus features and more! Have some fun with your kids while watching - check out the great printable activities below. 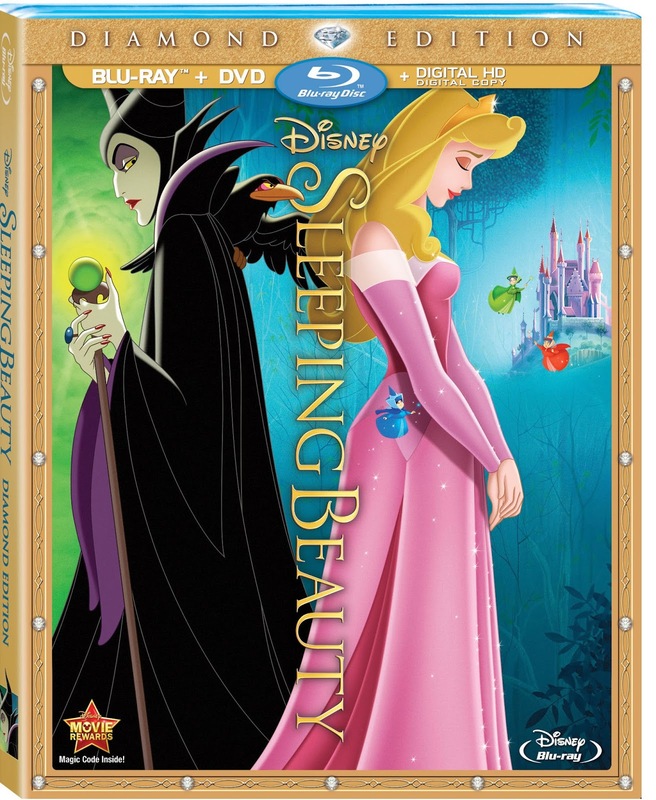 Disclosure: I received a copy of Sleeping Beauty: Diamond Edition for the purpose of this review. As always, opinions on this blog are my own.